Humberside Police are investigating two reports of Theft from a Vehicle from Tatton Park and Bushey Park, Hull. 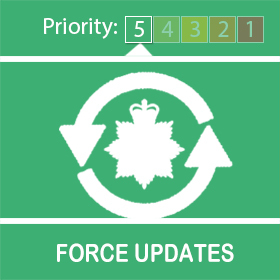 The first incident was on Tatton Park on 07/03/2019 between the hours of 16:00hrs to 0900hrs on 08/03/2019. The Offender/s gain entry to the informants vehicle parked on private driveway, via unknown means. From inside, offender/s steal a pair of prescription sunglasses before leaving scene in unknown direction. The investigation number for this report is 16/33763/19. 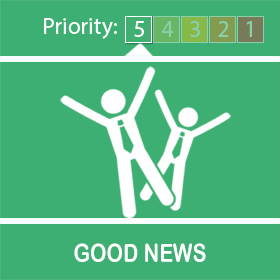 The second incident was a theft from a vehicle on Bushey Park on 08/03/2019 at approximately 0319hrs. The informant has gone to their vehicle and noticed that the boot and passenger side door are partly open. The informant advised us that his wallet and the contents have been taken from inside the drivers door where it was left. There was no sign of forced entry. The investigation number for this report is 16/33723/19. If you saw anyone acting suspiciously in the area around this time or have information on the whereabouts of the stolen property, or have any information about the offenders please contact the police on the new telephone number 101 quoting the above investigation numbers. Alternatively you could call Crimestoppers anonymously on 0800 555 111. You don’t have to leave your name and you may even receive a reward. Remember to keep your own property secure to reduce the opportunity for thieves. Whenever possible lock your doors and windows in unoccupied rooms even if you are in the house. Please be reminded to lock your doors and to keep any security gates closed and locked at all times. We also advise residents not to leave high value items on display as they may entice thieves. To assist us in identifying stolen property please consider property marking high value items using Smartwater or UV pens. You are also advised to register property at www.immobilise.com which is a free on-line property register used by police forces nationwide to reunite stolen goods to their owners. All you have to do is register on-line and then upload properties electrical items serial numbers. 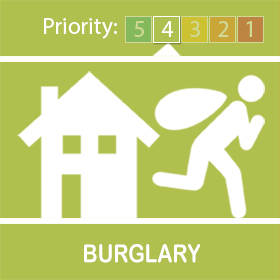 Humberside Police are investigating a report of Burglary from Whitstone Close, Hull. The incident occurred between 1545hrs and 1600hrs on 08/03/2019. Two males have approached the a wooden fence, they approach the fence and they then have kicked it causing damage. 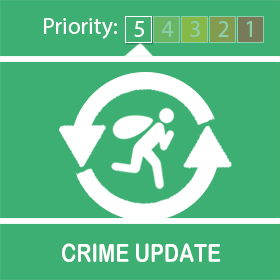 If you saw anyone acting suspiciously in the area around this time or have information on the whereabouts of the stolen property, or have any information about the offenders please contact the police on the new telephone number 101 quoting Investigation number 16/ 33862/19. Alternatively you could call Crimestoppers anonymously on 0800 555 111. You don’t have to leave your name and you may even receive a reward. Remember to keep your own property secure to reduce the opportunity for thieves. Whenever possible lock your doors and windows in unoccupied rooms even if you are in the house. On the 6th of March 2019 at 3:20pm there will be a chance to "Lark out" with us at Biggin Hill Primary School on Biggin Avenue. It is a chance for your kids (and yourselves) to run around and play the games we used to like Hop Scotch, Kerby and things like that. 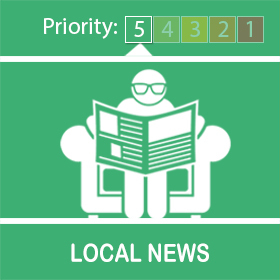 There has been a rise in shed/garage burglaries over the past few days mainly on Bransholme. The offenders have been riding around the Bransholme estate on mopeds on the afternoon/evening of 28/02/2019 targeting residents garages. If you saw anyone acting suspiciously near garages during the times above then please contact 101. Please keep all sheds and garages secure at all times. ASB in and around North Point shopping centre. Patrols have been increased in this area and a number of individuals have been identified as causing issues for the business and also the wider community. We are working with partners to identify those involved and taking appropriate action to deter future anti-social behaviour.